I am working on hardware integration for robotic motion planning. My goal is to have closed loop perception using one or more RGBD sensors integrated into motion planning for a Baxter Research Robot. I am a certified private pilot. In the future would like the opportunity to work on motion planning software for autonomous air vehicles. I enjoy writing science fiction, playing the guitar, and video games. 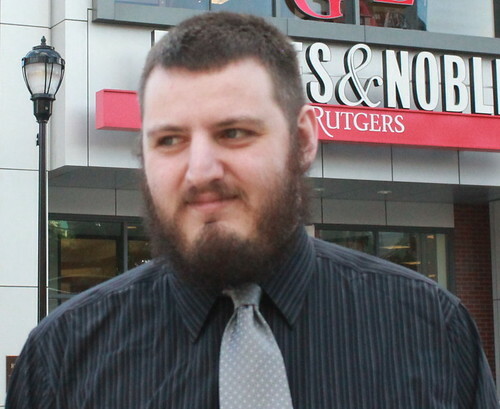 I graduated from Rutgers University in May 2014, with a Bachelor of Science degree in Computer Science. I maintain a repository of my work at github. Zhao, M., R. Shome, I. Yochelson, KE Bekris, and E. Kowler. 2014. “An Experimental Study For Identifying Features Of Legible Manipulator Paths”. In International Symposium on Experimental Robotics (ISER), Marrakech/Essaouira, Morocco.